I have been fascinated at how the vegetation on land my Dad owns in Antrim County, MI has grown since he and my Mom bought it back in the early 60s. I took this shot in February when I was up there visiting. It's a two-picture panorama of his back yard. This is a view a bit more from the left but of most of the same land. This was taken around 1965. 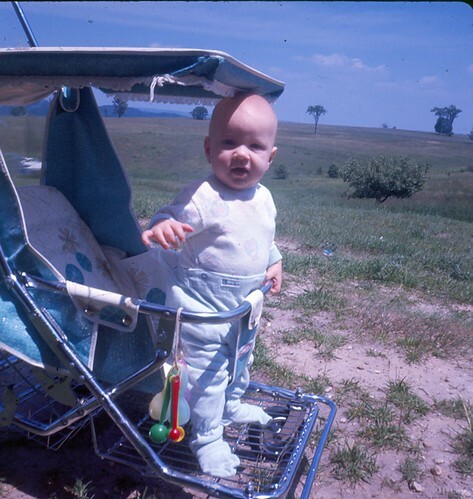 This picture from 1968 of me in my stroller shows a very similar angle to the picture I took. 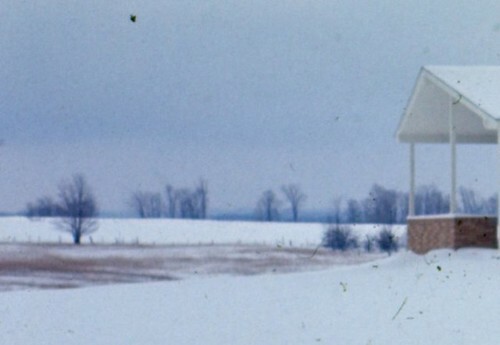 The small tree in the foreground is about where the playhouse is now. Last summer I went for a walk with my mom in what used to be the field behind their house were my brothers and I used to play. That had grown in quite a bit too. Although as a kid I knew my way around there, I barely recognized it 30 years later.